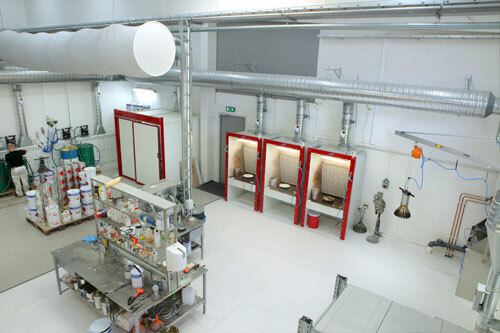 Wica chose Greiff and its own painting facility. 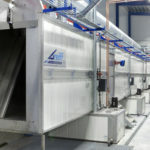 The Vislanda-based company Wica manufactures and supplies refrigeration and freezer furniture to major Swedish grocery chains. 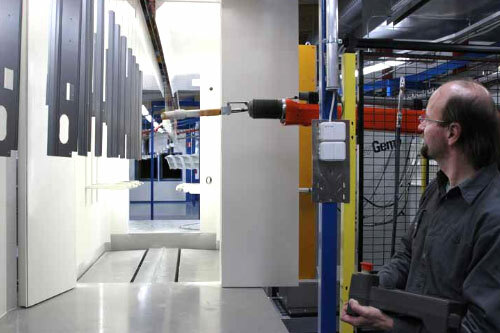 When the company decided to acquire its own painting facility, Greiff Industrimiljö AB was chosen as the supplier. 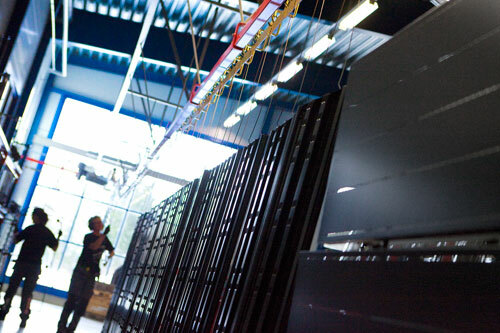 “Grieff were extremely helpful, and clearly they were the keenest. In addition, they manufacture in Sweden. This is an advantage for us because we do, too”. Wica chose Greiff through a fairly rigorous competition, and there were many reasons for the selection. 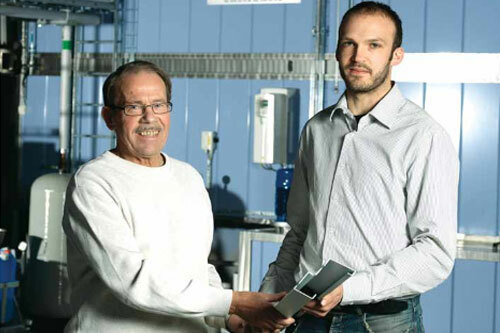 “Greiff were very good to deal with”, says Managing Director Niklas Rindhagen. They were flexible but at the same time very ‘switched on’ and interested in doing business”. 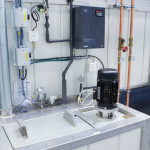 The installation was implemented in November 2011. 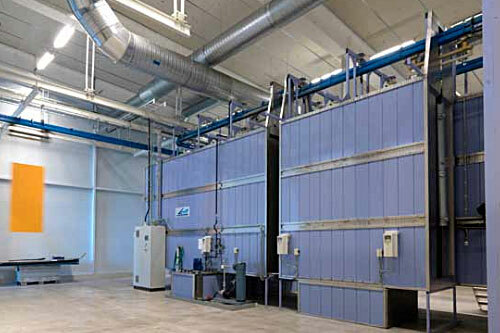 The Finnish company Vakiometalli OY chose Greiff for its complete power painting facility. 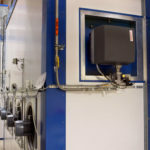 Vakiometalli is one of Finland’s leading manufacturers of bathroom storage and first-aid cabinets, among other things. 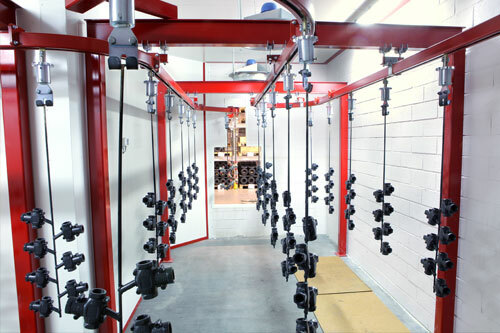 The company is located in the municipality of Mäntyharju, in southern Finland, producing fittings for public facilities and residential properties. 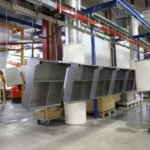 The product range includes cupboards, washing cabinets and cleaning cupboards, all of which are made from thin steel plate. 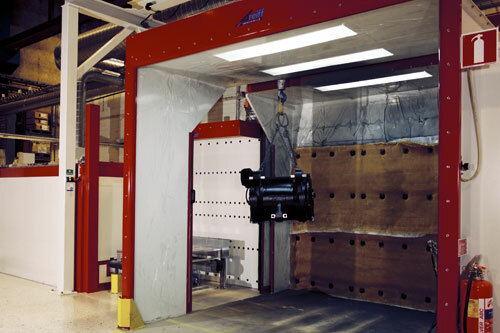 pre-treater, drying oven, spray booth, conveyor system and heat-treatment furnace. 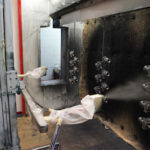 “We had great faith in Greiff, who are recognised for excellence in pre-treatment systems and thus have a strong reputation”, says Erik Henningsson of Daloc AB, one of the Nordic region’s leading manufacturers of security-rated doors. 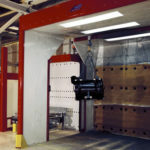 The company, located in Töreboda, Västergötland, is known for its fire doors, sound-insulating doors and security doors, which can be found in thousands of properties throughout Sweden. “We’re very satisfied with the system. 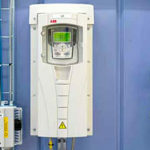 Installation and commissioning went very smoothly without any disruptions. of design”, states Erik Henningsson. “Simple things are often ingenious. 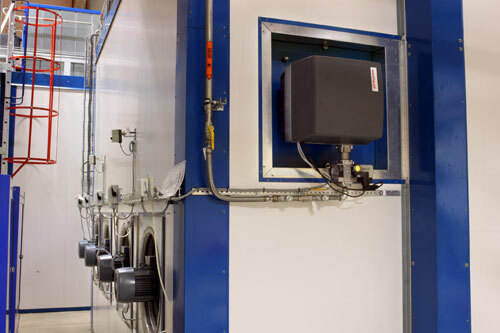 In this case, simplicity is evident throughout the wash, but at the same time it’s well-placed for the pre-treatment technology of the future”. 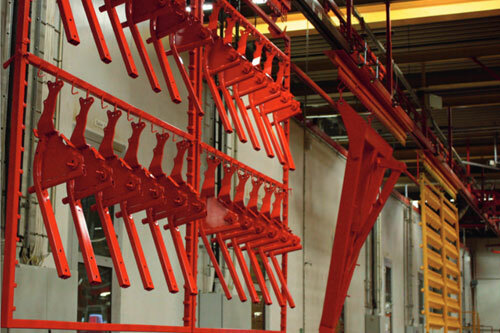 The market cried out for a reduction in Väderstad-verken AB’s equipment and delivery times. 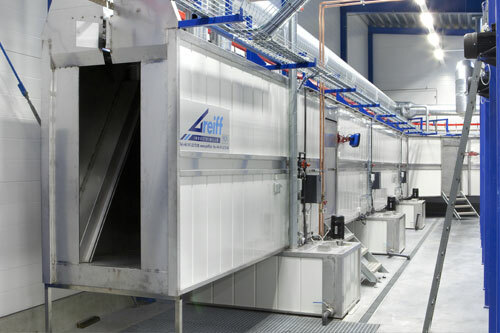 Greiff Industrimiljö was given three weeks to construct a new cleaning booth, drying oven and cooling zone in the painting facility. 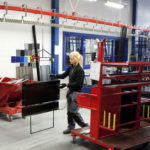 “The schedule was tight, but we managed to keep pace”, explains Mats Höglund, a sales specialist at Greiff Industrimiljö. 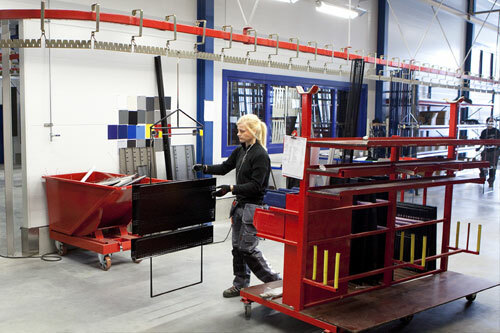 Production Manager Per Nilsson, at Väderstad-verken, is more than satisfied with the work that Greiff Industrimiljö did. 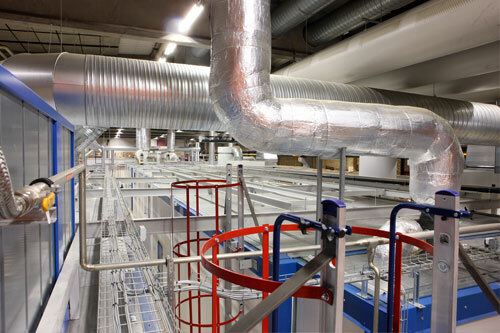 a better work environment in a facility with lower energy consumption”, he says. 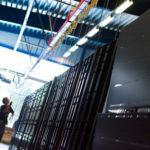 Greiff came through with the rapid delivery of a more environmentally friendly painting facility in the wake of a devastating fire. 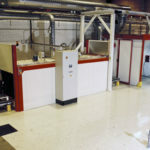 Esbe AB was forced to quickly reconstruct its painting facility, having suffered damage due to a fire in the fall of 2008. 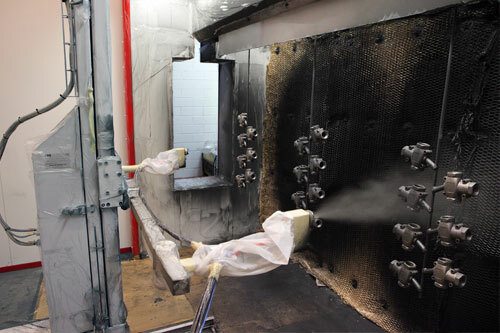 The company also wanted to become more environmentally friendly by replacing the solvent-based paint. After a number of different tests, it was decided to invest in equipment for water-based painting. 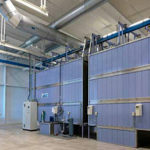 Greiff Industrimiljö AB was chosen to supply the new facility. 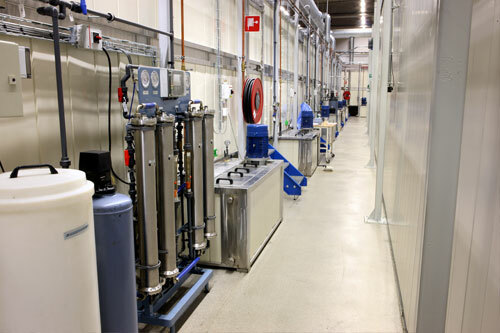 The new facility had to be ready as soon as possible. 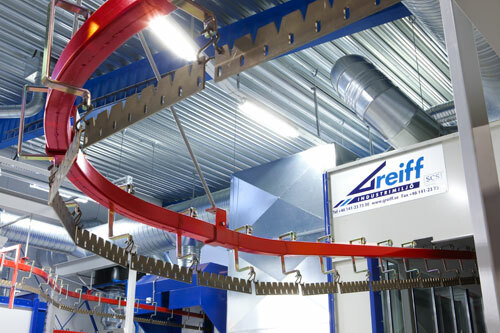 “The Greiff company was able to provide the quickest delivery, and they had the best solution at a good price”, says Marcus Melin, an Esbe project manager. 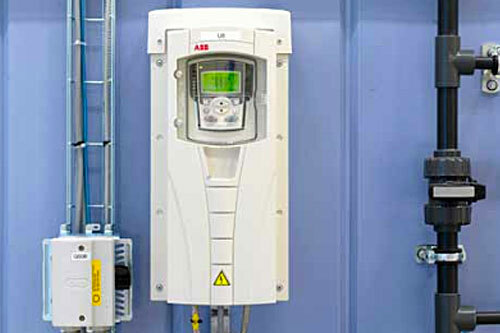 Quality was the focus when ABB again chose Greiff. 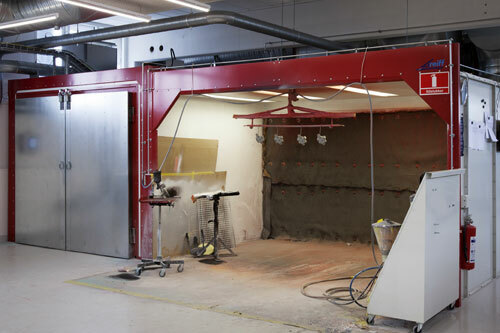 The Västerås-based train and tramway engine manufacturer ABB Machines selected Greiff Industrimiljö for the construction of a new painting facility. 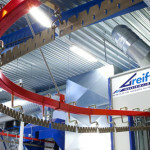 The fact that the choice again fell to Greiff is due to good relations and positive experience with the company and its products. 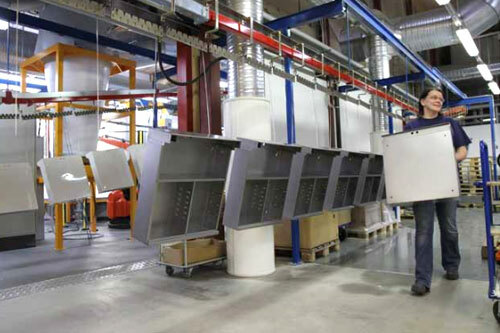 The paint supplier Syntema, in Gothenburg, decided its painting facility should be modernised, and accordingly the requirements were quite high. 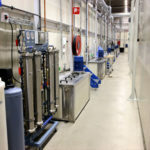 The company wanted a total solution with the most appropriate equipment, a work environment which would be safe and conducive to productivity, and reasonable costs of operation. 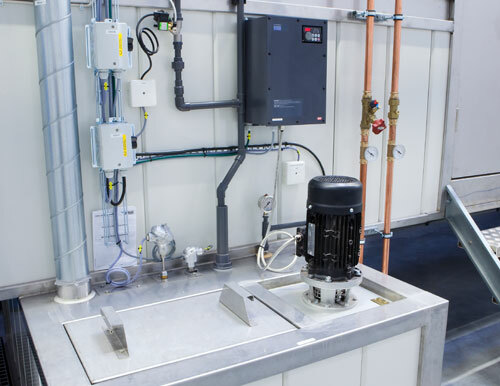 The assignment went to Greiff Industrimiljö AB, which Syntema deemed to have the necessary capabilities, know-how and pricing. 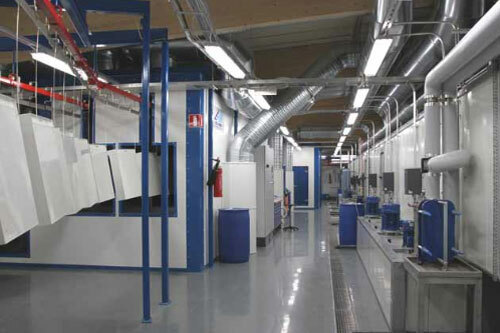 The proximity to servicing was one of the reasons that Stiga, based in Tranås, chose SCS Finishing as the supplier for its powder line. 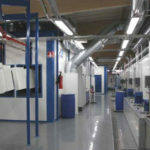 “SCS Finishing’s solution met with our wishes in regards to flexibility, performance and price. 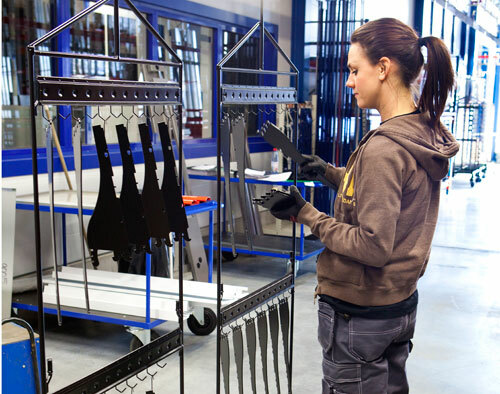 The access and proximity to their service personnel have been very helpful, as well”, explains Åke Ivarsson, production manager at Stiga. The order from Stiga was a challenge for SCS Finishing. 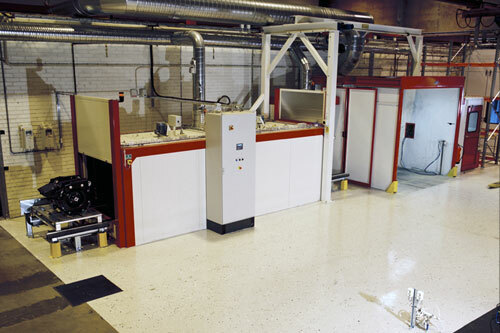 The new powder line was scheduled for installation in summer 2007, but only half the normal construction time was available. “We had to do in two weeks what would normally require four weeks. So, it was indeed a challenge, but everything worked as it should”, explains Ulf Lundqvist, of SCS Finishing.